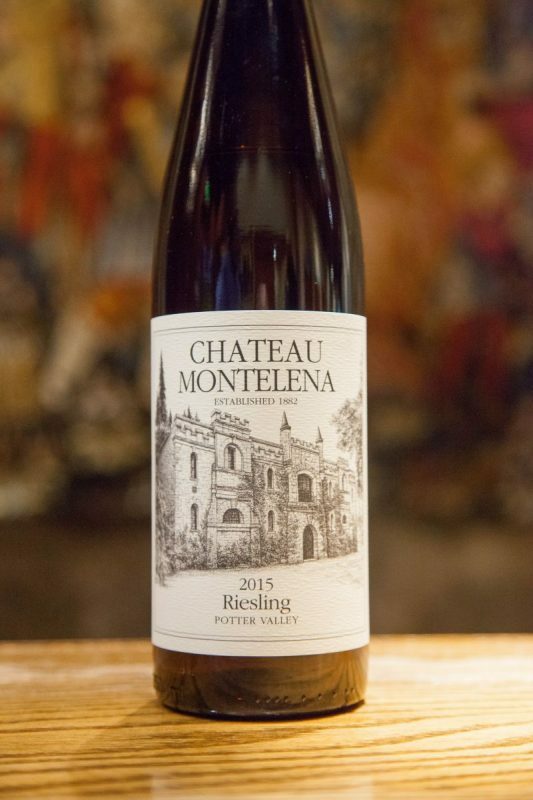 California Girl and I returned to Chateau Montelena eight months after our first visit, so that we could both experience a tasting and write detailed notes. 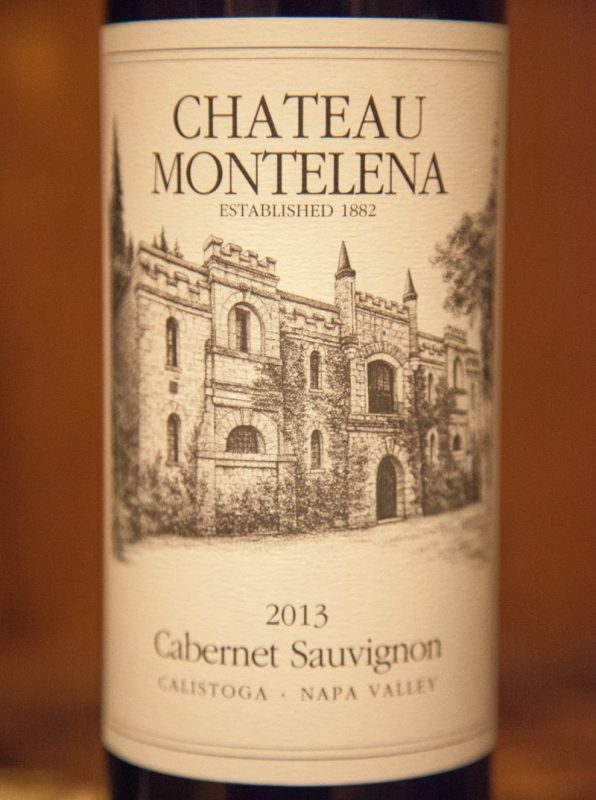 California Girl comments: As you can see by the photographs, Chateau Montelena is gorgeous. I was able to take the outside shots back in December when we were experiencing a late fall. It is simply breathtaking. We were taken by our host Andrew to a private room for a tasting with one other couple. Andrew provided a history of the Chateau which was built as a winery in 1882 by Alfred Tubbs, whose name is on the lane that runs to the entrance. The business never recovered from the effects of Prohibition, with winemaking stopping in 1947. 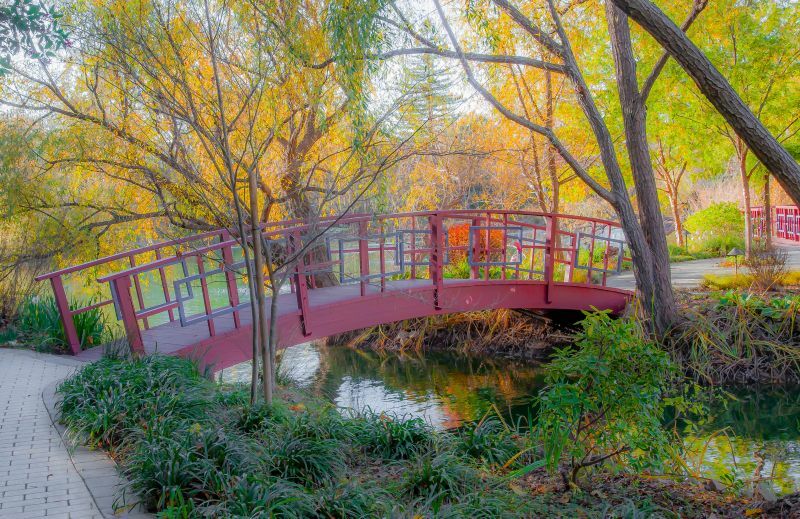 Ten years later the property was sold to the Frank family; who added the serene beauty of Jake Lake to the property. In the 1970’s Jim Barrett purchased it and his son Bo, runs the winery today. 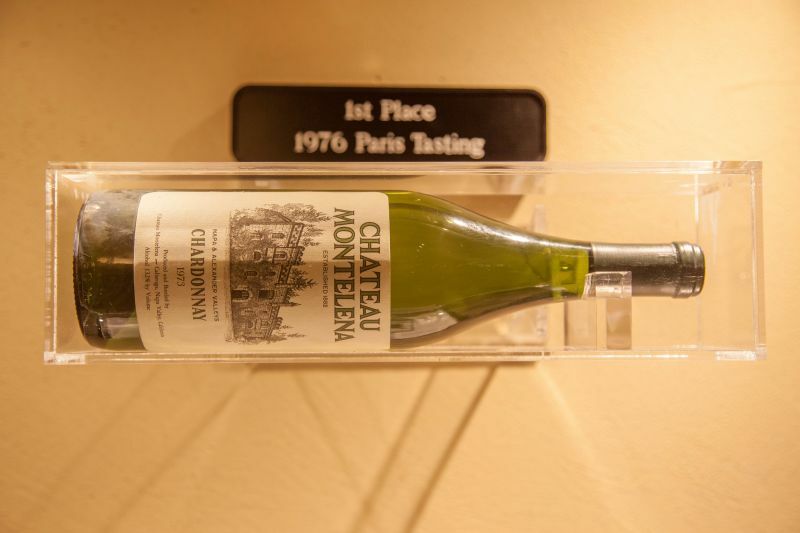 Chateau Montelena became famous with their second vintage of Chardonnay when it won first place in the 1976 judgment of Paris, beating the best that French vintners could make. They display a bottle of this game-changing wine in the tasting room. Andrew did make the point that the winemaker at the time was not Jim Barrett, as the film about the 1976 event,”Bottle Shock”, implies. The winning wine was made by Mike Grgich, who a year later founded his own winery. We went to Grgich Hills Estate the following day and will post our thoughts on that visit soon. California Girl comments: It was really interesting to see the famous bottle. A California wine treasure for sure. The tasting began with the 2015 Potter Valley Riesling. 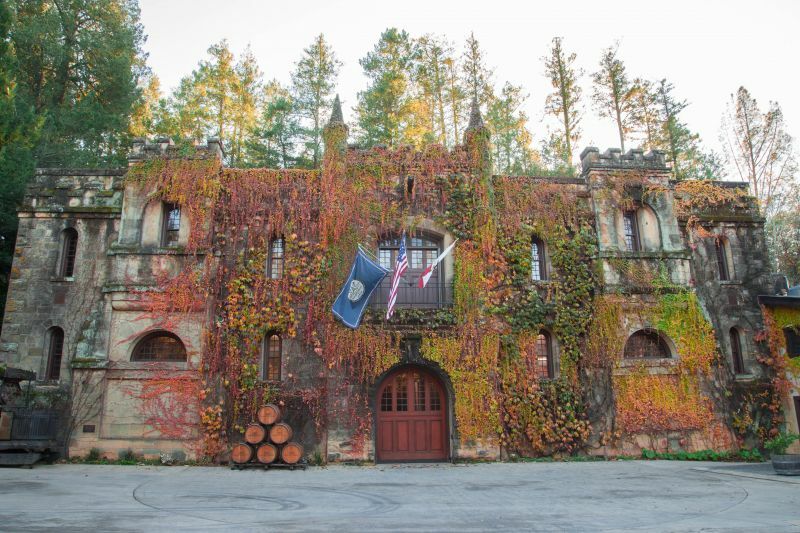 Potter Valley is an AVA in Mendocino County, about eighty miles North of Chateau Montelena. The wine is fermented in stainless steel and spends six months in neutral oak. The nose has an odour of sweet peach. The first sip showed how misleading a nose the wine possessed, as I was greeted with a crisp, acidic, mouthful of lemon and pineapple. This was a good example of a dry Riesling, that calls out for pairing with a Thai curry. The price is $25. California Girl comments: The Riesling was indeed very citrusy and had a great deal of minerality to it. It reminded me of some of the wines I tasted in the UK. It wasn’t my favorite sip of the day. Next up was the 2014 Chardonnay. The grapes for this come from Oak Knoll, well South of the winery and only just North of Napa itself. The Chardonnay that won in 1976 had grapes that came from outside Napa Valley. Chateau Montelena makes about 50,000 cases of wine a year, with 15,000 being Chardonnay. The wine reflects a European approach, avoiding excesses of oak and butter to allow the fruit to shine through. The nose offered apple backed up by aromas of citrus. The wine was on the dry side for a Chardonnay, with just a hint of butter mellowing a refreshing acidity. I tasted lemon and a zing of slate. This is a good, but not great Chardonnay. I think the price of $58 reflects the history as much as it does the wine. California Girl comments: I wish I could say that I love this wine. For me, this was too overwhelming acidic and full of lemon for my palate. 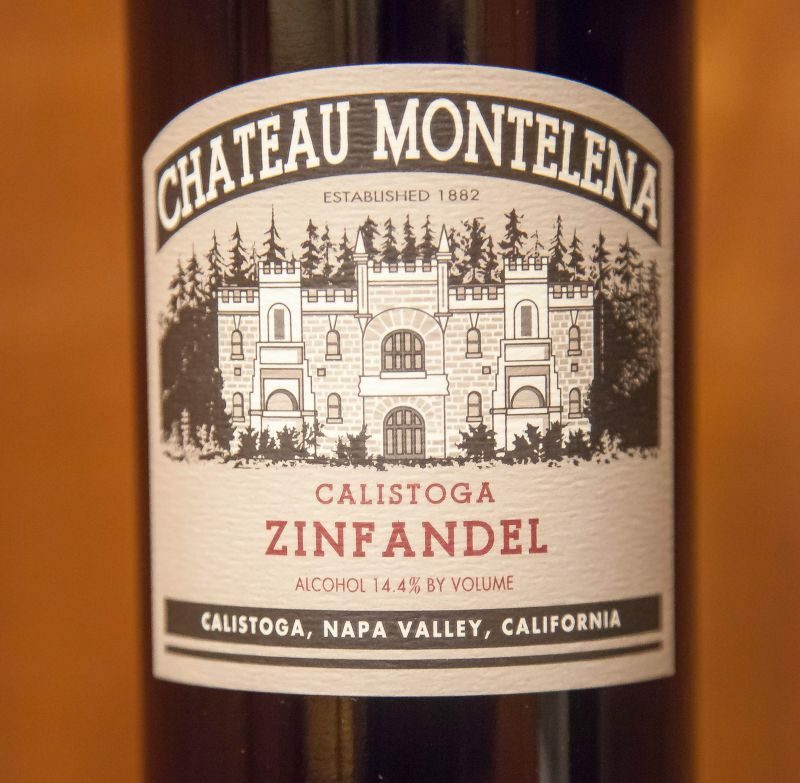 The star of the tasting, in my opinion, was the 2013 Chateau Montelena Estate Zinfandel ($39). There was little fruit on the nose, but it offered an enticing mix of chocolate and coffee. The colour was lighter than one expects from Zin; almost the shade of Pinot Noir. The flavour reflected the lack of fruit, with earthy tones dominating and just a hint of red currant. The finish added a sprinkling of pepper on the tongue. This was a long way from a jammy Zinfandel; showing their desire to make a wine that was closer to an Italian Primitivo. I realise that my emphasising the lack of fruit, my description may sound critical, but that is not my intent. I loved the complexity of this drink and would love to pair it with a juicy lamb-chop. California Girl comments: I agree, this was a lovely Zin. Very drinkable, and ready right now, although I feel as though it will age beautifully. Age will smooth it out further and make it a truly lovely sip. The third wine was their 2013 Napa Valley Cabernet Sauvignon ($58). The grapes are not from the estate. It is 85% Cab, 14% Merlot, and 1% Cab Franc. The nose was not overly intense and presented blackberry reinforced by damp wood. Taking a sip exposed dark berries, cocoa, and black tea. The tannins are strong, but not overwhelming. California Girl comments: Despite its young age, this Cab drinkable. With age, this little beauty will only improve. We finished with a side by side taste of the 2003 and 2006 Estate Cabernet Sauvignon ($175). 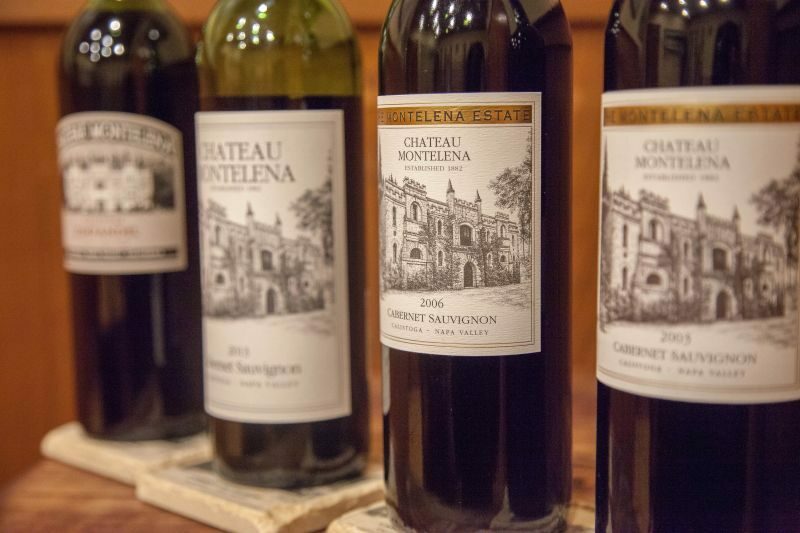 The estate Cab spends two years in French Oak and two more in bottles before it is released. Obviously, these wines have spent significantly longer than that in bottle. The 2006 presented a very forceful nose of spice and blackberry. Tasting revealed a soft and complex mix of raspberry, blackberry, and a smidgen of pepper. The tannins, softened with age, helped extend the finish and leave a wonderful mellow fruitfulness on the tongue. The nose of the 2003 was a little more restrained and was dominated by blackcurrant. The flavour that emerged from the silky wine was more complex; with cherry, cinnamon, and dark chocolate. The finish was delightfully long, almost enough to make one regret taking a second sip and disturbing the taste. After the aforementioned Zin, this was my favourite of the tasting. Both of these last two wines provide clear evidence for how well the Chateau Montelena Estate Cabs age. I enjoyed the wines that we tasted. Our server was enthusiastic and provided good information about the winery and the wines; my one criticism was that he talked even when we were trying to focus our senses on experiencing the wine. Reservations are not required if you wish to taste in the public tasting room. 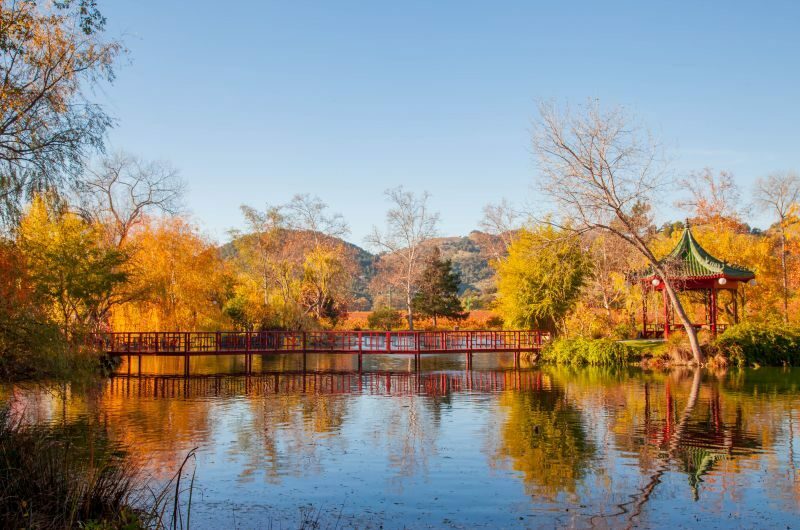 The site is beautiful and the winery is a key part of Napa Valley’s history. 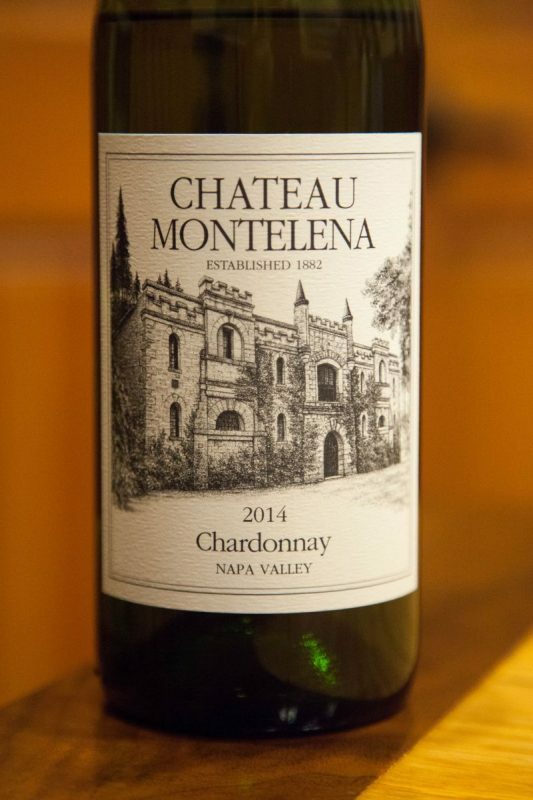 I would recommend a visit, but not for the Chardonnay; it was the wine that made their name, but now it is the other wines that make a visit to Chateau Montelena worthwhile. 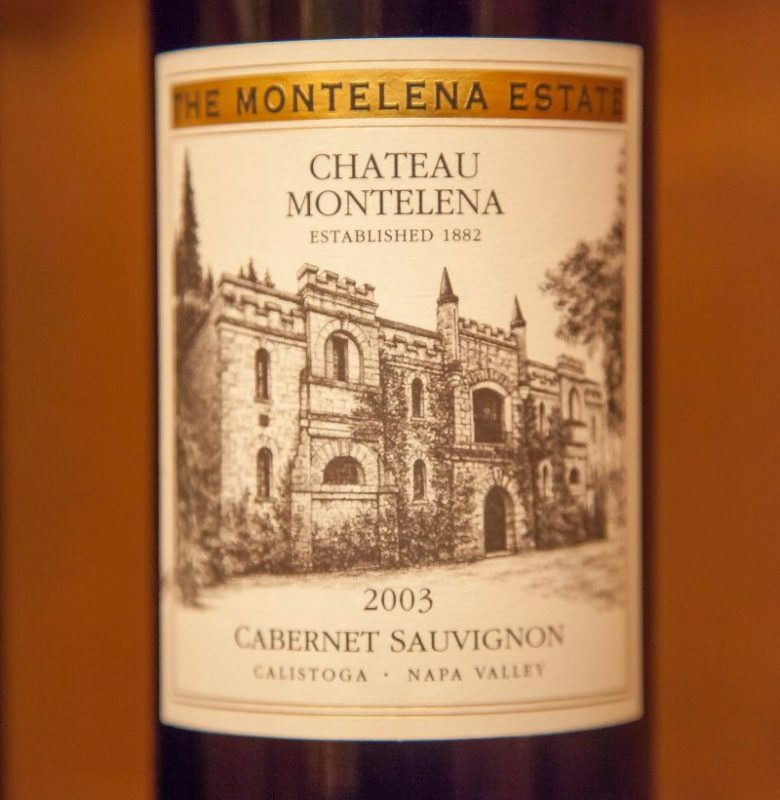 California Girl comments: Chateau Montelena proves that it is far more than a one-hit wonder. It’s beauty and wines are well worth the trip.